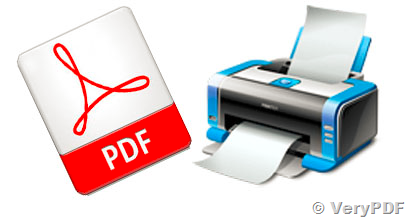 I am looking for the best, fastest way to send multiple PDF documents to print to a given network printer. Will PDFPrint Command Line product suit my needs? I am looking for the best, fastest way to send multiple PDF documents to print to a given network printer. The methods I have found involve instantiating an instance of a process, passing arguments and that works, however, Adobe Acrobat GUI loads (and stays open) which is undesirable. With the GUI starting up, opening the file, displaying it and sending it to print...it must be wasting time. By the way, in my testing, I found it takes about 40 seconds to send five, one-page PDF documents to print that way. 1. Is your command line utility truly non-GUI? 2. If I have to send 10 or 100 or 1000 print jobs to different printers, once I send them via your tool will it print as fast as the printers can spool them up? 3. Your overview mentions you can merge multiple printing jobs into one job. Would that be equivalent to Acrobat Pro merging PDF documents into one document and sending that one merged document to print? I am thinking that if I can group 10-20 PDFs into one print job, it should be more efficient. Is that a fair assumption? 5. What are the differences between the server and developer licenses? Why the large cost difference? Please call me back so we can discuss these questions, your product, and which is the best fit for our needs. >>1. Is your command line utility truly non-GUI? Yes, PDFPrint Command Line is a pure Command Line application, it is not contain any GUI at all. >>2. If I have to send 10 or 100 or 1000 print jobs to different printers, once I send them via your tool will it print as fast as the printers can spool them up? Yes, you can use PDFPrint Command Line to print 10 or 100 or 1000 PDF files to different printers at same time, this will expedite your printing speed. >>3. Your overview mentions you can merge multiple printing jobs into one job. Would that be equivalent to Acrobat Pro merging PDF documents into one document and sending that one merged document to print? No, it is not same as merging function in Acrobat Pro. Acrobat Pro does merge PDF files first and them print merged PDF file to Windows Printer. PDFPrint Command Line hasn't merging function, so it will save the time on merging, it does print PDF files directly to Windows Printer. >>I am thinking that if I can group 10-20 PDFs into one print job, it should be more efficient. Is that a fair assumption? 5. and more similar purposes. If you just want to improve printing performance, you can try to print more PDF files concurrently, this will great improve printing speed. >>5. What are the differences between the server and developer licenses? Why the large cost difference? Server License is licensed by one server, you will need to purchase a server license for each server. Developer License can be run on any number of servers. How to print label PDF file with customized paper size? How to restore printer options to previous settings after PDF printing? How to call pdfprint.exe to print PDF files to Windows Printer from PHP source code? How to print PDF files from a web based app? How to print multiple PDF files without user intervention? Can I print multiple PDF files by For Loop DOS Command Line? Print all PDF files in a folder and subdirectories (subfolders) recursively. This entry was posted in PDF Print and tagged pdf print, print PDF. Bookmark the permalink.